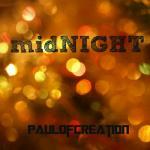 Sign up for Broadjam today to follow PaulOfCreation, and be notified when they upload new stuff or update their news! The latest selection of music from the past year. funky dfunk guitar riff that catches you out!